Instant song downloads - from as little as £1.50. It's so easy! 3. When results appear, click on the 'About/Sample' green button to find out more and listen to a sample. 4. To buy - click add to basket, complete checkout using credit card or PayPal. 5. Login to your account and click on the download link. Content - Anxiety is imagined as a ‘what if’ monster, confidence is a ‘what if’ buddy. The ‘what if’ monster puts doubt in our minds, and needs to be replaced with the ‘what if’ buddy of confidence that inspires us to have a go in life. Confidence can be gained by going to people we trust for support and encouragement. This unusual and quirky song is a brilliant tool to help young children understand anxiety – and they love shouting at the ‘what if’ monster to go away! Excellent for PSHE. This song has a partner story and complete assembly on the same theme. You can find this in 'Assemblies Alive KS1', which also contains 14 other assemblies, songs and stories. Content - This catchy song captures the excited anticipation that a child feels on Christmas Eve and the hope that Christmas Day will bring everything that is hoped for: Will Santa Claus have seen the note? Will he leave a present in the Christmas stocking? Theme – classic Christmas carol, the humble birthplace of Jesus. Content - The classic song for an infant nativity, Away In A Manger sets the scene of Jesus's birth in a stable, with only a manger for his bed. Sweet and gentle, this is a perennial favourite for the crib scene. Content - A simple song with which to celebrate Jesus’ birthday, ideal for inclusion in a DIY nativity. Content - A sweet, gentle lullaby, addressed to baby Jesus in the manger, ideal as the crib song for a DIY nativity. Content - This song paints the picture of the manger scene in the most beautiful way, beginning with a lyrical duet, then swelling into a choral section with stunning harmony and counterpoint. The second and third parts are very easy to learn yet wonderfully effective, making this a lovely piece for inclusion in Christmas concerts and ideal for choir repertoire. Content - The title number of a 10-song cantata, 'Bells Ring Out' is a lively, joyful number to include in a Christmas concert. The simple harmony and couterpoint parts make this song a valuable addition to school choir repertoire. Content - A beautifully lyrical Christmas song, ideal for carol concerts. The simple harmony and counterpoint parts make this song a valuable addition to school choir repertoire. Content - The ‘tug’ towards Bethlehem, calling shepherds to the stable as Jesus is born. 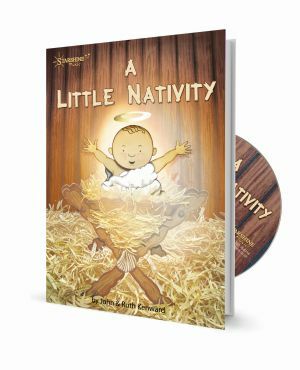 A useful song for KS2 to include in nativity presentations or carol concerts, and the simple harmony and counterpoint parts make this song a valuable addition to school choir repertoire. Content – This very simple song is easy to learn, and contains a brief solo moment for the final innkeeper. The song is very clearly structured so that it will be easy to direct the movements of children playing the roles of the innkeepers, Mary and Joseph. Lots of ‘knock, knock, knocking on doors’! Content - A delightfully simple song to help EYFS children understand comparative size, using pets as the subject matter - dogs, cats, snakes (! ), rabbits and parrots. Always popular with this age group, as it’s so catchy! 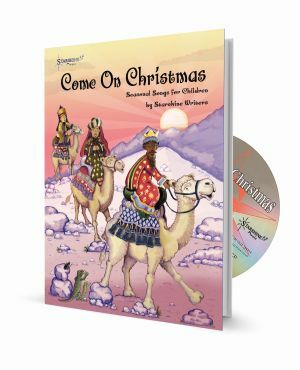 Content – a very endearing song that depicts the three wise men making their way to Bethlehem, each riding on a camel’s ‘humpety, humpety, hump’! 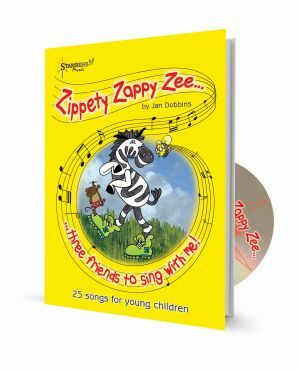 Younger children love this irresistible song, as it’s very easy to learn, being so clearly structured and right on their wavelength. Content - Three wise men are bumping up and down on their camels all the way to Bethlehem, carrying their gifts for baby Jesus. A song that’s already a perennial favourite, guaranteed to raise a smile! 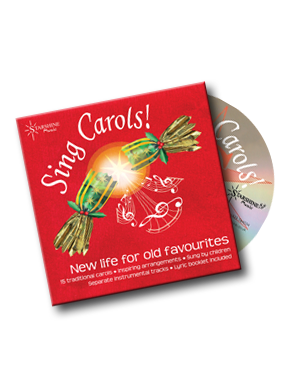 Content - Three classics ideal for schools and choirs - traditional favourites for a Christmas carol concert. Content - Three sweet Christmas songs, ideal for inclusion in an infant nativity. The first two are extremely catchy, and particularly popular with this age group. The third song is a lovely setting of the traditional classic 'Away In A Manger', a perennial favourite for the crib scene. Content - Three great songs for juniors to sing at Christmas concerts. The first considers the different stories that are told at Christmas time, stories of Santa and Rudolph, the 'narrative' of the commercial Christmas season, and the story of Jesus' birth in a place where there is 'no tinsel there at all'. The second song is a quirky one, sung from the point of view of one the camels carrying the three wise men; the third is a song to express excited anticipation of Christmas festivities. The simple harmony and counterpoint parts in these songs make them a useful addition to school choir repertoire. 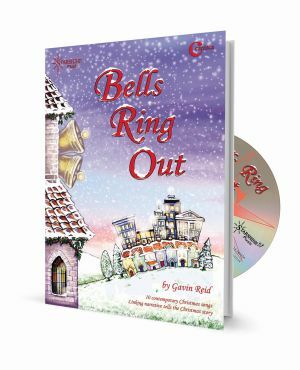 Content - 'Bells Ring Out' is a joyful celebration of the birth of Jesus. 'Gabriel's Message' is a beautiful song about the annunciation, expressing joy at the blessing that Mary is given, to bear the Son of God. 'Christmas Gold' is about waking up on Christmas morning, and the true 'gold' of Christmas being to do with giving and love. Three excellent songs, each with simple harmony and counterpoint parts that make them a valuable addition to school choir repertoire. Content - Three adorable songs for this age group to sing, all of which have proved firm favourites in many schools! 'Wonderful Father Christmas' has a Disney feel to it, and expresses the excitement of anticipating the arrival of Santa Claus with lots of gifts. 'Bumping Up And Down On A Camel' is a great song to include in a Nativity presentation, guaranteed to raise a smile! Finally, 'Shine Away' is a lovely song about the light and hope that Christmas brings to the world. Can You See The Bright Star Shining? Content – ‘This is what we’ve been waiting for: Christmas come tonight!’ A lovely upbeat song for the ‘angels and shepherds’ scene in a Nativity – very catchy! Content - This poignant song from Nick Perrin appeals for us all to take care of the poor, unhappy and lonely at Christmas time. A great song to pull the heartstrings, and works as a good contrast to upbeat celebration songs, particularly helpful if you are doing a fundraising concert. Content - An easy, tick-tocking song for infants about telling the time at the beginning and the end of the school day. Theme – Easter is a special time for Easter eggs! 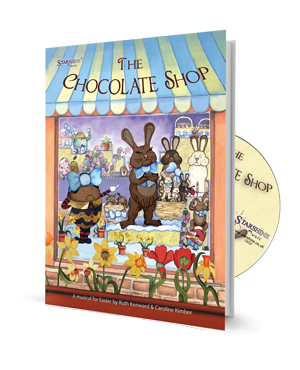 Content – A cute song from the musical ‘The Chocolate Shop’ that would work well on its own as part of a KS1 Easter presentation, with a group of children taking the part of the Easter eggs. This song is featured in our quirky Easter musical for KS1: 'The Chocolate Shop' which is about Easter eggs, chocolate bunnies - and forgiveness! Content - As the title suggests, this song is all about getting ready for Christmas! Festive food, Christmas crackers, etc. Upbeat and easy to learn. Theme - The true ‘gold’ of Christmas is explored in this warm, lyrical song. Content - 'Christmas Gold' is about waking up on Christmas morning, and the true 'gold' of Christmas being to do with giving and love. The simple harmonies in this song make it a valuable addition to school choir repertoire. Theme – Christmas, celebration in every generation. Content – An exceptionally Christmassy song! Very effective divided chorus singing, easy to teach and learn, ‘Christmas Is Here’ is a favourite with many in this age group. Content - This song has an exceptionally Christmassy ‘feel’ in both lyrics and music, so makes a great addition to an end of term concert. A wintery scene is set as the backdrop for Christmas shopping, and the song ends with Christmas stockings hanging by a warm fireside glow and a sparkling Christmas tree – all with the aim of celebrating a special birth. The harmony parts make this song very suitable for choir use. Content - A very simple song about building snowmen - and slipping and sliding about in the process! Content - This perennial favourite is full of energy and excitement, expressing children’s impatience for Christmas Eve to arrive and for the Christmas lights to shine. It's so exciting to think about that they can hardly breathe! But why's it taking so long to come? With simple harmony/counterpoint (optional) this is a great song for junior choirs. Content – An irresistible song to celebrate Christmas, full of energy and life. Easy to learn – and movement is a must! There's an easy key change into the last verse, with a clear cue to help everyone to pitch correctly in the new key. A lively item for a Christmas concert, that will have all the singers bopping about and enjoying themselves! Content - On our own, we don't function well, but along with others we can achieve so much more. When we team up to work together, that's how we can really make a difference and build a better world! This song has a partner story and complete assembly on the same theme. You can find this in 'Assemblies Alive KS2', which also contains 14 other assemblies, songs and stories. Content - A delightfully simple song about a baby cuckoo. Very pretty - and perfect for even the youngest children to join in on the echoes. Content - All the animals in the stable at Bethlehem are dancing with excitement to see the baby boy in the manger: cows, donkeys and chickens are all dancing like they've never danced before. Lively and full of character, with some nice animal sound effects! Ideal for inclusion in a DIY nativity. Content - The arrangement, with its very hooky counterpoint part, brings a whole new appeal to a traditional favourite. 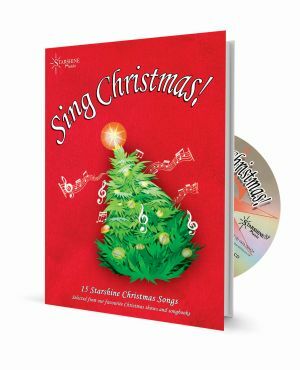 Ideal for young choirs to sing at Christmas. Content - Where does our food come from? The shops and supermarkets, of course! "Chuck it in the trolley, check it out! Stuff it in a bag, wheel it out!" Wait a minute... No! "It comes from the earth, that's a fact." 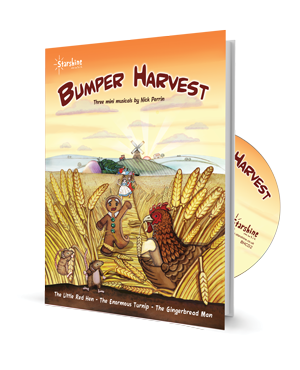 A great song for Harvest time, or alongside any food-related topic. Content - An excellent song for PHSE or junior assembly, 'Don't Judge A Book By Its Cover' is all about relationships, and being nice to each other, no matter where we come from or who we are. The harmony parts also make this an interesting set piece for a junior choir, or soloist with backing group. The ‘fills’ in the chorus are a good technical exercise for young singers, especially if done in 2 or even 3-part harmony. Content - Using the metaphor of Pandora’s Box, this song makes a strong statement about keeping nasty thoughts and words under control - for everyone’s benefit! Obviously, it's important to share about our problems in order to process negative feelings in a controlled way, but the message of this song is that allowing anger and bitterness to spill over onto others causes those destructive emotions to spread and grow. 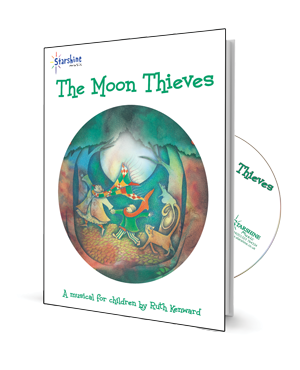 Punchy, assertive and with a dramatic edge, this song is strengthening and empowering for children to sing. 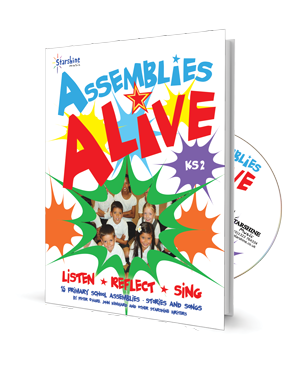 This song has a partner story in 'Assemblies Alive KS2', which contains 14 other songs and stories. Content – a very hooky donkey song that is always popular with this age group, because the lyrics tell the story so vividly, the melody is so catchy and the backing arrangement is so appealing. This song also refers to the old legend of animals kneeling down in the stable to honour Jesus’ birth. There's an easy and attractive key change half way through the song, with a simple one-note link to help singers move confidently into the new key. Content – a donkey song that’s full of character, with a melody that cleverly echoes the donkey’s braying sound. Always popular with this age group, because it has such a catchy tune! Content – the verses each take a different aspect of Easter. Verse 1 reflects spring, and the changes in nature that tell us Easter’s on the way; verse 2 is all about chocolate and Easter cake; verse 3 is about people doing special things at Easter, painting eggs, making bonnets, singing in church etc. The chorus recalls the Christian Easter story, as we 'travel in time to the hill of three crosses' to remember Jesus' sacrifice on the cross - and the joy of the resurrection. Hosanna! A lovely memorable song that encourages children to see life as an adventure. With its simple structure, 'Ever Wonder' is very easy to teach. The optional harmony part is particularly effective, and there is a great lift with the key change at the end. Recommended for general singing or choirs, but as a unison song it is also very suitable for PSHE and assembly purposes. Content - An upbeat, feel-good song with a great hook, that encourages us to look for rays of hope in bad times. Behind the clouds the sun is always shining! Great for general singing purposes as well as PSHE and assembly. 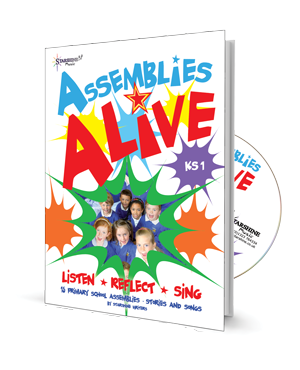 This song has a partner story in 'Assemblies Alive KS2', which contains 14 other songs and stories too. Content - A simple song with rather a ‘toy soldier’ feel! The words encourage children not to give up when things seem hard, reinforcing that 'every step counts' and 'every step means you’re moving on.' Very suitable for assembly and/or PSHE. 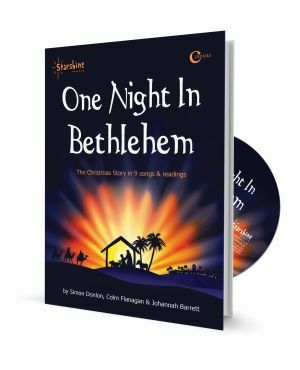 Content – This simple, peaceful song sets the scene for the Nativity, with everyone in Bethlehem fast asleep, the lights all turned down in the darkened town. The world awaits the imminent birth of Jesus. Mary and Jesus are just coming down the road… A lovely, unusual song that creates an expectant hush. Content - Everyone's in the stable - shepherds, angels, donkeys, cows, sheep... and the bells will ring: 'ding, dong, ding!' 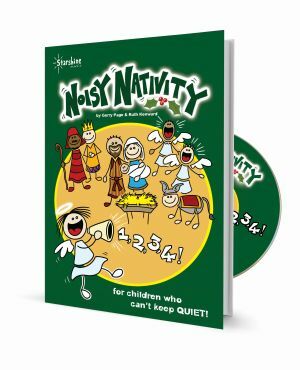 A very joyful, catchy and effective song to celebrate the birth of Jesus, perfect for this age group. There is an infectious energy about the music that will quickly make it a firm favourite - enjoy! Content - A song that reflects upon the baby in the manger: ‘Everything you give with love, you give to Him. Everything you do with love, you do for Him - ’cos He is love.’ If you're looking for a gentle Christmas song for this age group that offers a fresh approach, 'Everything You Give' may be the simple, beautiful and unusual song you need! Content - A lovely, bouncy song with lots of quirky sound effects about feeling very hot in the sunshine, but with a great, simple message to teach the importance of protecting young skin from the damaging effects of the sun. Theme - leavers' song, change, hope, new school, new class, moving house etc. Content - A new environment is a challenge, but this song encourages children: 'Everywhere you go take a smile with you!' Having a friendly, smiling manner and positive approach encourages others to accept us, and it's the best way to ensure that we'll soon feel at home. An excellent song with a warm, upbeat feel, 'First Day' is ideal for the end of the school year - especially as a leavers' song. 'First Day' has a partner story and complete assembly on the same theme. You can find this in 'Assemblies Alive KS1', which also contains 14 other assemblies, songs and stories. Content - Five little angels, four sleepy shepherds, three very wise men, and two more (Mary and Joseph) are all on the way to Bethlehem. When they get there, one little baby (Jesus!) is born! 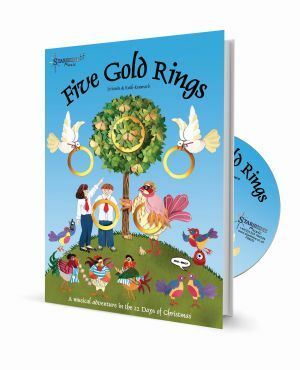 An easy counting song for Christmas, with the option of building up into three parts in each verse making this ideal for infant or lower junior choir. Theme - Christmas, nativity, the magi. Content - The three kings are travelling to Bethlehem: ‘Keep on travelling. 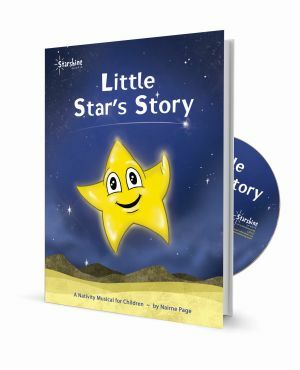 Got to follow that star.’ This lively song is very easy to teach and guaranteed to go down well with infants, making it a great choice for inclusion in a DIY nativity. Content - Gabriel tells Mary that she is to have God’s child. Beautifully written, with a lovely melody and simple harmonies, this is a great piece to perform at Christmas. 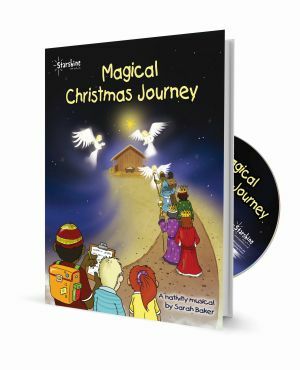 Ideal for young choirs and carol concerts, with verse one being an excellent solo opportunity (Angel Gabriel). Content - This song is ideal for the shepherds’ scene in a nativity, as the angels bring the news. Hallelujah! 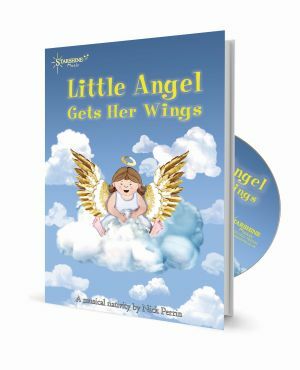 The song is very simple to learn, and with its rousing gospel feel, children find it very uplifting to sing. One of our singers described it as making her feel ‘bubbly inside’! While even the youngest of children can sing the main melody, the optional second and third parts are very easy to learn and exciting for older children to sing. Content - This song is ideal for the shepherds’ scene in a nativity, as the angels bring the news. Hallelujah! 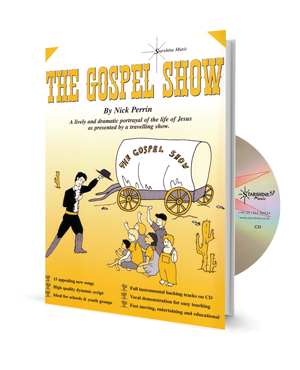 The song is easy to learn and - with its rousing gospel feel - children find it very uplifting to sing. One of our singers described it as making her feel ‘bubbly inside’! Content - The popular Christmas carol that tells the story of King Wenceslas, who goes out to give alms to the poor, despite the dreadful weather. A classic for inclusion in carol concerts, which benefits from the perky instrumental arrangement that gives it fresh life. Content - A simple, feel-good Christmas song, in which the angels proclaim the news of the birth of Jesus in Bethlehem, God's only Son, the promised one, 'born under heaven's light'. Content - ‘Growing Pains’ deals with the frustrations of a child’s everyday life - forgetting books, messing up spellings, failing tests, unfairness, etc. The message is that those things don’t last forever, and when life feels tough we just have to be patient and try to keep ourselves positive. Set in a very laid back groove, with a two part section at the end. Content - A song that depicts Guy Fawkes hiding in the cellar at the Houses of Parliament in London. It also depicts - in grisly fashion - the kind of (authentically 17th century) torture by officials who want to extract a confession from him! Rather along 'Horrible Histories' lines, children will find this a colourful way of engaging with the historical subject matter! Useful for singing around bonfire night! 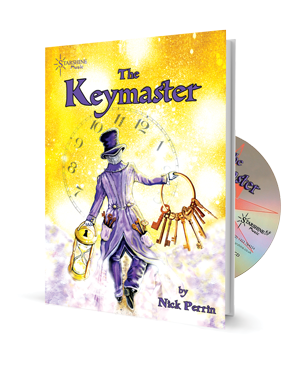 This song features in 'The Keymaster', a brilliant 'modular' musical for children, in which they are taken on an entertaining journey through time, visiting key periods in British history. Content - A lyrical and very evocative song for Harvest time, conjuring up a moonlit field, rippling barley and wheat, a snowy owl in flight... delightful and very simple. Content - A song about the danger of doing everything in a rush! Children love the use of different tempos in this song, which has a speedy verse and a contrasting laid-back chorus. Wonderful for reinforcing school rules about running in corridors etc., as this song has a way of getting stuck in children’s heads! Content - The crowds lining Jesus’ way into Jerusalem call out to him: ‘Hosanna! Save us, Lord!’ A powerful song to open an Easter service or assembly for juniors. Simple harmonies (optional) make this a great Easter song choice for junior choirs. Content - Very easy to teach and learn, this song has a simple message about making things better in our own small way, by doing the right thing. Ideal for infant assembly. Content - A song to help young children express the fun to be had in different kinds of weather. Great sound effects - and even the youngest children can join in with the actions and weather sounds! Content - The popular Christmas carol that talks about ships sailing into Bethlehem (although that’s poetic licence, as the nearest body of water to Bethlehem is the Dead Sea, 20 miles away!) 'All the bells in heaven shall ring, on Christmas Day, on Christmas Day.' Set to a nicely toe-tapping folk music arrangement. Content - A very cute song that gives a donkey's perspective on the 'fuss' surrounding the Nativity! He just wants to eat his hay, but there's something in the way: there's a baby in the manger! The donkey finds the whole thing a bit of an imposition. However, once the donkey hears of the journey to Egypt he perks up. He's going to be carrying Mary and the baby - and he'll get a meal at last! Content - a fun song for Early Years that lends itself to actions, as it talks about feeling cold and wrapping up warm. With colourful and evocative backing music that really sets the atmosphere. Content - A gentle song expressing a shepherd's anticipation of a long-awaited royal birth. He's waited for many years and it's taken a lot of faith, so he hopes he won't be wrong! Ideal for inclusion in a DIY nativity. Content - The story of the nativity told in a fresh, original way that points people towards Jesus now. 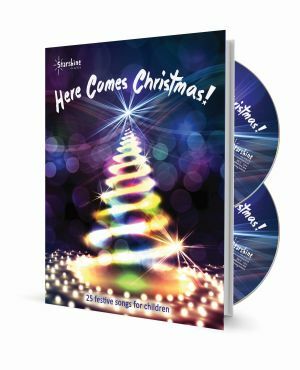 ‘If you feel lost at Christmas time … follow the shining star!’ Ideal for young choirs and carol concerts, with very simple harmony and counterpoint. Content - Everyone in the stable is all aglow! Something's in the manger - it's love! An adorable and very simple song for young children to sing at Christmas time - with a huge aah factor! Ideal for inclusion in a DIY nativity. Content - This song is about a race in which we all take part: the day to day race of life. An inspiring song about aiming high, seizing opportunities and finding the inner strength to cope with the race. Whether we're first or last, at least we're taking part! The song builds to a powerful finish, 'In The Race Of Life' has a positive and encouraging message, which makes it great for use as a school song, and for assemblies. Very effective harmonies also make this a good set piece for young choirs. Content - The excitement of opening your curtains to find that it’s snowed overnight! Better get your warmest clothes on - it's time for a snowball fight! A song that infants will love to sing in wintry weather. Content - ‘Christmas light makes day of night…’ All around the town it's bright. Something's in the air tonight! An exuberant, energy-filled song to express the joy of anticipating Christmas, parties, fun and laughter... A song full of Christmas joy and sparkle! Content – The song tells the story of Mary and Joseph’s journey to Bethlehem, with Mary riding on a donkey. 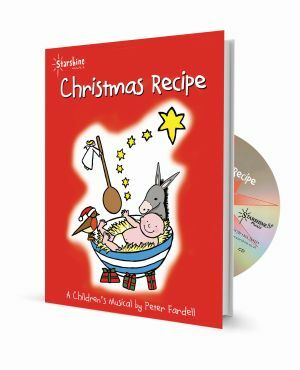 This is a song full of character and always popular with this age group, with its catchy melody that cleverly echoes the donkey’s braying sound. Content - An anthemic song about the way we live, and the responsibility that each of us has to make a difference. The excellent lyrics make the song ideal for assembly, but the optional harmony parts and key change also make this a very uplifting song for choir performance. Content – Extremely catchy, this song is a favourite to accompany the ‘no room at the inn’ part of the Nativity story. 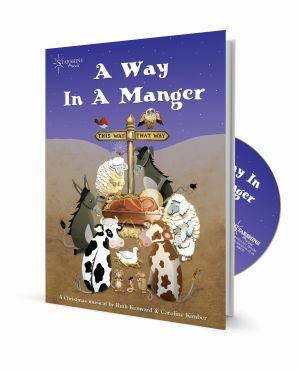 Well-paced and very easy to follow, which is helpful for children playing the parts of Mary and Joseph as they move from one inn-keeper to another. Content - An energetic song about heading in the direction of Bethlehem, both literally and figuratively. ‘Celebrate the holy birth, hope once more for peace on Earth.’ A great song to end a Christmas carol concert, as it also wishes its audience 'Happy New Year'. 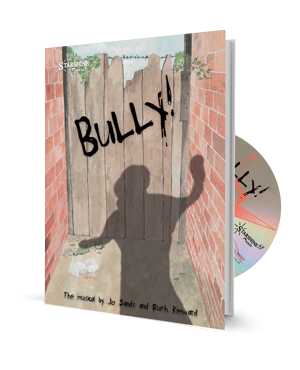 Content - A very simple song to discourage bullying and to teach children some things they can do to feel stronger. Particularly useful for assembly and PHSE purposes. Content - A lively song about a little blue engine - a great one for Thomas the Tank Engine fans! Early years children will love making the ‘Choo-choo’ train noises and pretending to be the engine as it travels from station to station. Lovely quirky sound effects. Content - A simple, bright and breezy song with a lilt - about working as a team and getting along with others, even when perhaps we don’t want to! Working together helps us to overcome life’s obstacles. Theme – Nativity, no room at the inn, Christmas. Content – Bethlehem is very busy, with lots of people running around, all looking for a place to stay. A simple action song, very catchy, which even very young children find easy to learn. Content – Who’s coming with us to find out where the star will lead us? A very catchy song, full of energy, about setting off on a journey of discovery. Content - An appealing song about a marching band and the different instruments that play in it. Children love to pretend to play the trumpet, drum, whistle and crash cymbals as they march up and down. Content - Time moves on but around the world a 2000 year old story remains strong. 'Across the world we remember that time so long ago, when there were angels singing, shepherds praying, kings all kneeling down to honour a child, a miracle child.' A reflective song with an unusual approach. A good song for junior choir and carol concerts, as there are simple but effective harmonies (optional). Theme - Animals, Monkeys, kittens, tigers and children climbing trees. Content - Children love this song, which is simply about different animals climbing trees and the noises that they make when they reach the top. Plenty of great animal sound effects! Content – this is a delightfully exuberant song, guaranteed to lift spirits! 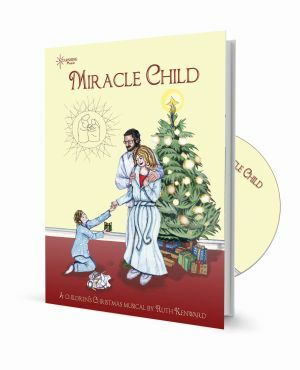 It is written in order to help children celebrate life and generate joy – and to encourage them to spread it. The song modulates half way through, but with a linking phrase to make the key change easy to follow, even for very young singers. Ideal for PSHE and assembly purposes, or for celebrating a special occasion. Content – a very simple action song about feeling cold! Suitable for early years and KS1 as part of learning about ‘my body’. Exceptionally easy to learn! 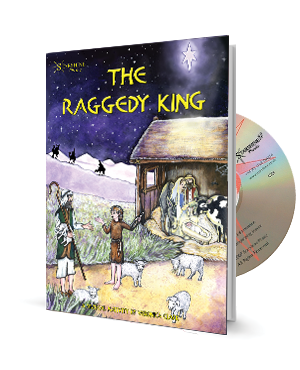 ‘My Hands Are Freezing’ is taken from our endearing nativity musical for KS1 – ‘The Raggedy King’. Content - A beautifully lyrical song for a nativity performance, sung as if by a shepherd boy at the time of Jesus’ birth. The boy describes his long journey to Bethlehem and declares his devotion to his King. Content - A song about over-confidence, and how it doesn’t help people make good relationships, as the title suggests! Easy to teach and learn, particularly useful for assembly and PHSE purposes. Content - This deliciously Christmassy ballad that combines the ‘feel’ of a contemporary winter celebration with the recollection of the birth of Jesus thousands of years ago. The first verse focuses upon Christmas decorations, streets full of people doing their Christmas shopping and the sound of carols in the air, but also reminds us to think of that first Christmas in a stable far away. The second verse reverses the thinking, beginning with the events at Bethlehem, then coming back to the present day, with Christmas trees, Christmas cake, and the conclusion that it's a time to give thanks for all God's blessings. The lovely harmony parts and Christmassy feel make this song particularly suitable for choir use. An easy-to-learn song for the ‘angels and shepherds’ scene in the Nativity, . Content – With its upbeat, Christmassy feel, this song invites the audience in to the Christmas story. An ideal opening number for any Nativity performance. Content – Three wise men, watching the night sky, see a star pass by – and they know they must follow it. So they jump on the camel train to find a newborn king! A cute song during which the journey of the magi can be re-enacted. Content - A gentle song to encourage young children that things get better - if you can be patient and take one day at a time. Ideal for assembly and PSHE. Content – A simple cumulative song to gather the whole cast for the finale of a Nativity performance, ending with: five happy angels, four happy shepherds, three happy wise men, two happy parents, one little boy in the straw – and a whole lot of joy! Content - A lovely set piece for young choirs, guaranteed to get toes tapping! Sets the hillside scene, shepherds watching over their sheep and angels appearing with great news. Simple and very effective harmony and counterpoint, with modulation adding great uplift for the last verse. Content - A gentle, uplifting song about resolving conflict and forgiveness. Often the first step can be the hardest when it comes to tackling problems, or forgetting the past and moving on. The optional harmony and counterpoint parts make this a lovely song for junior choir, as well as general singing. Content - An uplifting song on the theme of global citizenship, with an anthemic feel and inspiring message of unity. 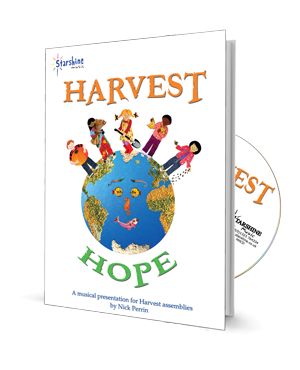 It's also a song with a difference for Harvest time, as it talks about the harvest to be reaped after we've sowed "seeds of understanding". An excellent choice for older juniors. Content - a feelgood song about travelling to the island of Jamaica. Very summery, with lovely harmonies that make this a good song for junior choirs. Content - A simple, jazzy song about how being too boastful gets people into trouble! The verses tell the story of two children who are examples of this, and warn of the dangers that come from acting too big for your boots! A great song for assembly and PSHE purposes. Content - Joseph and Mary knock on three innkeepers’ doors. They’re turned away by the first two, but offered a stable by the third. Very easy to learn and always popular with this age group! A great choice for inclusion in a DIY nativity. Content – Each one of us can make small changes to save resources. A great song to teach the importance of making good responsible choices and finding green alternatives to energy based on fossil fuels, with a very catchy chorus. Content - a song about the emergence of the 'age of machine' that stemmed from the Industrial Revolution. Three key inventions are featured: the flying shuttle, the spinning jenny and the steam train. A song with great energy that will appeal to this age group, and a great way to teach some key facts. Content - A song about the hope that Jesus’ resurrection brings, as the stone is rolled away from the empty tomb. The seed of new life has been sown, promising lasting peace and freedom. 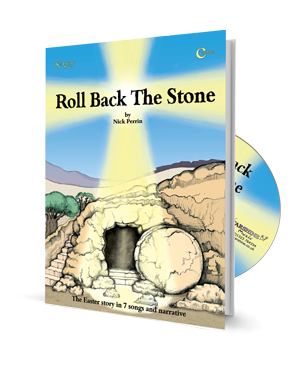 The song declares that faith can move mountains and roll back the 'stone', which (it is implied) still needs to be rolled back in our lives today. Very effective harmony/counterpoint parts make this ideal as a piece for junior choir. Content - You never know what’s round the corner: it could be scary or fun - stormy or sun! But if we don't step round each 'corner' in our lives we might never get to see what lies ahead - which might be treasure at the rainbow's end! A catchy song with an unusual theme. Fun for all general singing, as well as useful for assembly and PSHE. Content - A delightful, short song about the fun of rowing a boat on a sunny day. Simple for Early Years children to learn and enjoy while pretending to row a boat! The backing music sets the scene beautifully, even including the sound of oars splashing! Content - A perennial favourite in many schools this lovely song is about the light and hope that Christmas brings to the world. 'Shine Away' is ideal for carol concerts, and makes a great set piece for junior choir. It's also very suitable as the final song for a DIY nativity. Content - A charming song to bring out the fun in shopping. As the children sing about visiting different shops they can also learn what they might expect to buy at each one. Lots of colourful and evocative sound effects! Content - A wonderfully energetic and uplifting song to celebrate the birth of Jesus. All the stars in the sky celebrate a special night by shining brightly. "We're never too little to shine our light!" This song is from the nativity show 'Little Star's Story'. Content - A beautiful new approach to the ‘Silent Night’, with a lilting new melody that gives a totally fresh feel to the traditional lyrics. 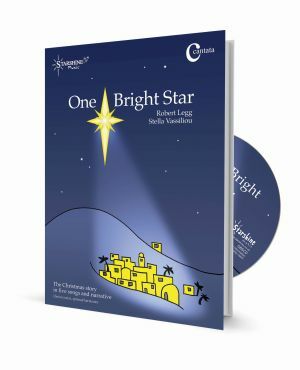 With wonderfully well-written harmony and counterpoint parts that are simple to learn, this song makes an excellent addition to school choir repertoire for Christmas. Content – A peaceful song for the manger scene in the stable at Bethlehem, with a lovely ‘middle 8’ section during which the shepherds and three wise men offer their gifts to baby Jesus. Content - A beautiful two-part song, celebrating Love coming into the world. On a dark and drowsy night, a shining light appears to shepherds as angels tell of peace on Earth. Although it's not a long song, it really gives young choirs something to get their teeth into, including a rousing Hallelujah section at the end. Content - Joyful, exuberant and with an uplifting Gospel feel, this is a fantastic song for larger choirs in particular, inviting the nations of the earth to share the good news of Jesus, born in poverty for all of us. Hallelujah sister! Alleluia brother! All together we are family. Content - A gentle, reflective song, pondering how this 'child of wonder' born in a stable will grow to be the saviour of the world. Simple, lilting and peaceful, with a lyric that captures the moment just after Jesus' birth in a very effective way. This song is from the cantata 'One Night In Bethlehem'. Content - This song expresses awe and wonder at the beauty of Earth, as seen from the point of view of the moon, which is imagined as a benevolent character watching over the world. Imaginative lyrics are set to a beautiful, lyrical melody. Ideal if you have a strong soloist, but also perfect for general singing or lovely as a set piece for junior choir (unison, apart from a few bars of very simple optional harmony). Content - As snowflakes drift down, children are always eager for a 'snow day' - everyone wishes for their school to be closed so they can get out and build a snowman, or have a snowball fight! Full of fun, and very popular with junior age children. 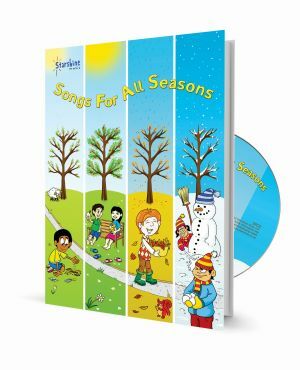 This song is from the Songbook 'Songs For All Seasons' which also contains 19 other songs. Content - A gentle song to conjure up a snowy day. As millions of snowflakes drift down, whirling as they fall, it’s almost like a dance: a snowflake serenade. Very attractive as part of an assembly on the theme of winter, and ideal for infant dance purposes. Content - It's fun to pretend you are someone else - someone that's larger than life - a famous figure or even a superhero. You can imagine seeing life through someone else's eyes, but 'all the same you're still just you - that's the way it goes!' An unusual song with a great backing track that always goes down well with this age group. Theme - Rain, Weather, Colour, size, boots - and where to wear them! Content - A song about standing up for yourself in the right way, that points out the importance of thinking clearly, speaking out calmly and asking for help in a hurtful situation. A great extension to work in PSHE and very helpful when dealing with bullying in school. 'Stand Up For Yourself' has a partner story and complete assembly on the same theme. You can find this in 'Assemblies Alive KS2', which also contains 14 other assemblies, songs and stories. Content - It’s hard to find many songs suitable for infants on the theme of temptation, but this song does it brilliantly, covering both temptation to eat unwisely and the temptation to steal. Excellent for both general singing and assembly alike, and helpful support for work in PSHE. Content - a fun, upbeat song with a simple structure, about the importance of rules and how they make life easier. ‘Even the easiest game has rules to keep just the same!’ Particularly useful for PSHE and assembly. Content - An appealing and easy-to-learn song for Harvest, which expresses thankfulness for the precious food that nature brings, as well as expressing the intention to share when we have plenty to spare. Content - A bright song with lots of character about the joys of lazy, hazy summer days - and holiday time on the beach! Very easy to learn, with a pop feel that goes down well with children and all summer lovers. This song is suitable for general singing, but would also be a great addition to a junior choir’s repertoire because of the simple and effective harmony parts and fills (optional). Content - A funky song that deals with negative feelings and issues of self control. Arguments and different points of view are a fact of life, but - whatever the problem - it’s always best to talk it through and find a solution. The song’s simple structure and immediate appeal make it a good choice for PSHE or assembly. Content - What stories do we tell at Christmas? The song begins with stories of Santa Claus and then moves on to tv shows full of tinsel and celebrities, but ends with a complete contrast: a quiet stable on a starlit night. ‘No tinsel there at all. Tell me the story that I need to know.’ An unusual approach for a Christmas song - and very effective. With optional harmonies, this makes a good addition to repertoire for school choir. Content - This upbeat song tells the story of three different people confronted with tempting situations that involve wrong or right choices - whether to steal a from a tempting pile of sweets, whether to cheat in a test. The message is that our actions have consequences, so our choices must be made carefully! A very hooky song with a driving beat, this is a great choice for PHSE or assembly use. Optional harmonies and other technical points make this a strong choice for junior choir. Content - the battle of Hastings is presented as if it was a football match between the Normans and the Saxons! An entertaining and engaging approach to use with this age group, with a great backing track to set up the atmosphere! Content - This is an excellent song for assembly and PSHE. It gives the message that blaming others only makes things worse, and that using the ‘sorry’ word can go a long way towards mending relationship difficulties. 'Sorry is a word that mends'. Content - In life’s journey, what ‘book’ do we follow and where will it lead? The books are metaphorical – books of love, hope, peace, and trust – and the lyrics explore the purpose of ‘reading’ those books. And ‘will the story be retold, one day when we are growing old?’ A gentle, thoughtful song about choice of direction in life. Very suitable for assembly. Content - A ‘sweet’ song about an imaginary chocolate shop, wishing everyone a Happy Easter. 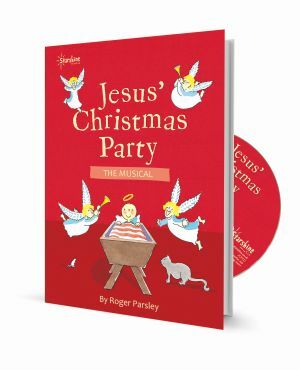 This is the title song of the musical by the same name, but would also work as part of an Easter assembly presentation, with children creating a shop window effect with pictures, or by dressing in costumes. Content - Tells about the birth of Jesus and asks 'Will you sing for this boy?' A very effective Christmas song for junior choir, which has an echoing two-part chorus that is simple to grasp. There is modulation into the final chorus, giving the song a beautiful lift. Ideal for Christmas concerts and young choirs. Content - The river is celebrated as it flows through the fields, valleys, and towns, making its way to the sea. It flows for all of us, and must be protected from pollution. This song would be excellent alongside a project on water or the environment. There is an optional harmony for the final chorus, but otherwise this is a straightforward song to use for general singing purposes with a tune that sticks in your head! Content - This traditional Christmas carol is a very sweet lullaby, sung to Jesus in the manger. ‘We will rock you, rock you, rock you.’ Translated from a traditional Czech carol. An excellent manger song for a DIY nativity. Content – This clever little song plays with the idea that – as each individual is unique and different – we all have different-ness in common (‘…because I’m different I’m the same as you!’). A very catchy song with a laid back feel, ideal for KS2 assembly and PSHE. Content - The traditional ultra-cumulative song! Great for schools and choirs. 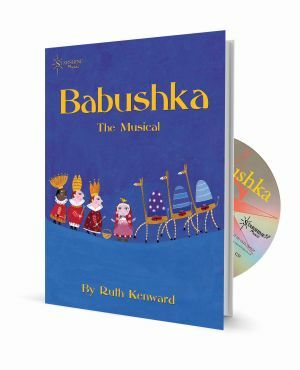 Content - This song is from the nativity musical ‘Babushka’, about a tatty old stable full of cobwebs, which is suddenly blazing with light when a special baby is born. A lovely, picturesque song for infants at Christmas time, that paints a vivid picture of the scene in the stable. Content – A new star has appeared in the sky as a sign of Jesus’ birth. Where does it lead? Who knows where it is going? ‘Follow and you’ll see!’ This is a simple and very catchy song, ideal for a retelling of the nativity story. 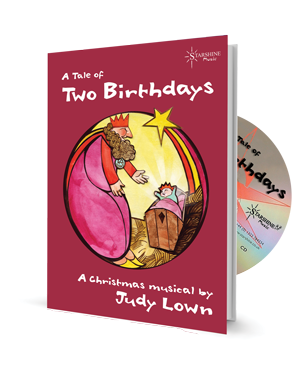 ‘There’s A Star In The Sky’ is taken from the ever-popular nativity musical for KS1 – ‘A Tale Of Two Birthdays. Content – A gentle, picturesque song to accompany the manger scene. Very sweet, with words that set the scene beautifully. Content - Everything we choose in life makes us who we are. What kind of person do you want to be? How do you choose to behave? This appealing song manages to convey such huge subject matter in very simple words, and is excellent for assembly and PSHE. Content - A simple song to encourage young children to take care of their environment. Lyrical, easy to learn and useful alongside environmental projects, as well as for assembly and PSHE. Theme - Christmas, three wise men, nativity. Content - The journey of the magi towards Bethlehem, with probably the most distinctly Eastern flavour backing we’ve come across! An excellent song to include in a DIY nativity. Content - A laid-back song in a reggae style, great for the end of the school year, especially for those changing schools. The focus is on the hopes and fears of moving to a brand new school, as well as appreciation of the friends and shared experiences at the current school. Perfect for the end of Year 6. Content - This well-written and simple 3-part round is about a windmill, its sails going round, and the stones turning as they grind the grain. Very effective, easy to teach and ideal for Harvest. Content - a musical expression of the suffragette movement, fighting for women's right to vote in the 1920s. Catchy and with an appropriately twenties style arrangement, this is a great way to teach about this aspect of British history. Content - The journey of the magi towards Bethlehem, with a wonderfully Oriental motif between the verses! 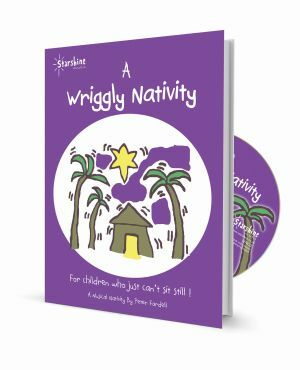 A great choice as the three kings song in a DIY nativity, as it is easy to learn and goes down well with this age group. Content - An oriental-flavoured version of the traditional Christmas carol about the three wise men as they journey to Bethlehem, following a star. The 2-3 part harmonies in the chorus make this a good choice for young choirs, with solo opportunities offered by the verses. Ideal for carol concerts. Theme - Christmas, New Year. Content - the traditional song with which to extend good wishes at Christmas! This download contains two versions. The full version (taken from 'Sing Carols') is funkier and more suitable for older children, or infants with particular panache! 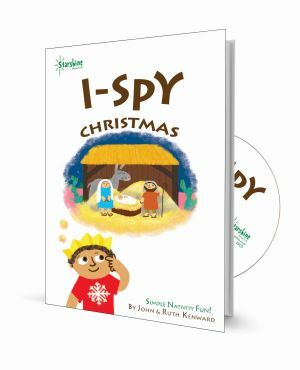 The shorter version (from 'I - SPY Christmas') is gentler and more suitable for younger voices. Content - A rousing echo-response song for the manger scene in the nativity story, to welcome the new-born Jesus. A simple song that’s easy to sing with gusto! Content - This highly original song makes a parallel between seasons in our lives and cycles of growth in nature. Suitable for PHSE or assembly, and ideal for Harvest time. The optional harmonies and counterpoint are simple to learn, making this a great song for choir purposes, as well as for general singing and assembly. Content - This refreshingly different arrangement brings a Celtic feel to one of the most popular of traditional Christmas carols. The optional harmonies offer great possibilities for choirs. Content - A bouncy, simple song using exciting words to describe the fun of fireworks time. The sound effects really make this song fizz and crackle! Very popular in this age group. Content - A cute, feel-good song about anticipating the arrival of Father Christmas, and being unable to sleep on Christmas Eve! 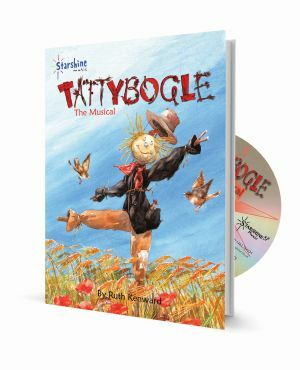 An irresistible, toe-tapping little number, very cute and appealing for this age group. Content - A strong, positive song about not giving up. The energetic chorus says it all ‘You gotta try, try, keep on trying!’ The key change into the final chorus gives the song a great finish that children enjoy. Great for general singing, but especially useful for PSHE and assembly. Content - An upbeat song that deals with the problem of learning to share, to talk things through and to take turns. Very helpful to teach about good relationships, this is particularly suitable for PHSE and infant assembly.